Welcome back to our Nanny Blog! We are glad to finally be sharing our MDM daily goings-on with you: we’ve missed you! There is way more to being a Cat Nanny than playing with cats. We will spare you the details but we have cleaned more litter trays that you have had hot chocolates. Have you noticed how perfect the paw-print on your hot chocolate is? It takes months of practice. 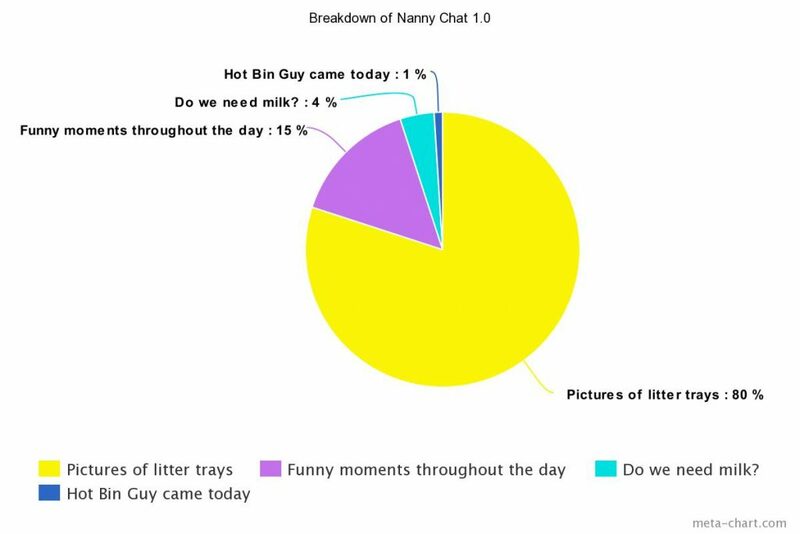 But once you’ve mastered it that’s how you really know you have made it as a Cat Nanny. Thinking of wearing black to work? Think again. First job of the day is grooming 12 very furry cats (minus Elodie of course, but she’s another story!). So yes, you might be interviewed for TV at 11 but you are going to do so with a cats worth of hair stuck to you. Yes: we do know all of our cakes off by heart, we can recite the house rules in our sleep and can identify any of our cats by a meow. But please don’t ask us how to get to your hotel: we are shamefully directionally challenged. We are inappropriately involved with the cats’ love lives. Guillaume is, of course, in love with Jacques. The feeling wasn’t mutual but then, remember that time Jacques headbumped Guillaume first?! And Amelie and Marcel have been snuggling a lot recently! Is that a sign?! Are Alain and Coco still a thing?! SO. MANY. QUESTIONS. When you do get a second to have your lunch it goes over to a cat panel of judges. Cats all over you? Good choice of lunch. Not even Elodie is interested? Must try harder.